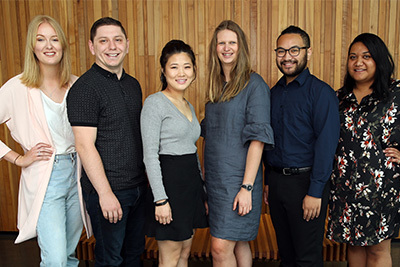 Pacific Media Watch is an Asia-Pacific media digital repository gathered and published by staff and postgraduate students at AUT University’s Pacific Media Centre and contributing journalists. The monitoring and research project began at AUT in 2007. 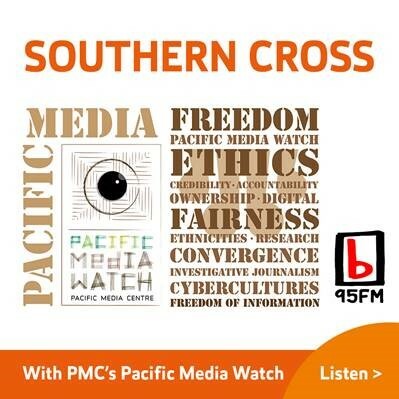 Originally launched in Sydney in October 1996, Pacific Media Watch was the Pacific's first regional media website. It has links with the Journalism Programme at the University of the South Pacific, Journalism Studies at the University of PNG (UPNG) and the Australian Centre for Independent Journalism (ACIJ) and collaborates with the Paris-based Reporters Sans Frontières and Freedom House (New York). Independent and watchful, Pacific Media Watch was founded as an independent, non-profit non-government network by journalists Peter Cronau (left - then director of the Australian Centre for Independent Journalism, University of Technology, Sydney) and David Robie (right - based then in Port Moresby as coordinator of Journalism Studies at the University of Papua New Guinea). After being initially established at the ACIJ, the archive was hosted by the Association of Progressive Communications (APC) in Sydney and the original website can be visited here. Its genesis was the jailing of two Taimi ‘o Tonga journalists, Kalafi Moala and Filokalafi ‘Akau'ola, and a ‘whistleblowing’ pro-democracy member of Parliament in Ton ga, ‘Akilisi Pohiva, for alleged contempt in September 1996. They were later freed by the Supreme Court in Tonga which ruled their imprisonment was unconstitutional. PMW played an important role in the campaign to free the three men, including organising a petition of more than 100 media signatures from the region. Late in 2007, masters student Taberannang Korauaba, of Kiribati (left), himself once a cause célèbre for media freedom organisations, joined the PMC to prepare PMW files for the new DSpace database. He is now publishing his own Auckland-based newspaper, Kiribati Independent. Tongan journalist and AUT masters student Josephine Latu joined the PMC as contributing editor of Pacific Media Watch in August 2008 and has covered several media events and is contributing many articles. Former contributing editor Alex Perrottet (right) is from Australia with a long interest and experience in the Pacific. He has a law degree and is completing both a masters degree and postgraduate diploma in communication studies and journalism at AUT. He is now working on Pacific stories with Radio New Zealand International. During 2013, Daniel Drageset of Norway was the contributing editor and he was awarded with the annual Dart Asia Pacific Journalism and Trauma Centre prize for his PMW reportage on torture in Fiji. In 2014, Anna Majavu, a Zimbabwe-born journalist from South Africa with a keen interest in the Pacific, took over the role. The contributing editor selected for 2015 was Alistar Kata, who was part of the Pacific Media Centre’s team covering the Fiji General Election in 2014 and who was awarded the Spasifik Magazine Prize and Storyboard Award for 2014. In 2016, TJ Aumua was selected as contributing editor. She graduated with an honours degree in Communication Studies and has been a contributor for the Pacific Media Centre and Pacific Scoop and was a summer research intern with Pacific Journalism Review. The Pacific Media Watch project received a $15,000 grant from the Pacific Development and Conservation Trust in 2009/10 for its web-based development work. Press for the urgent removal of barriers to press freedom and freedom of expression. Protect and support journalists unjustly jailed, assaulted or harassed while performing their professional duty. Encourage debate on media ethics, and press for improved professional standards. Monitor regional media ownership and other issues affecting freedom of information. Provide a digital information database. 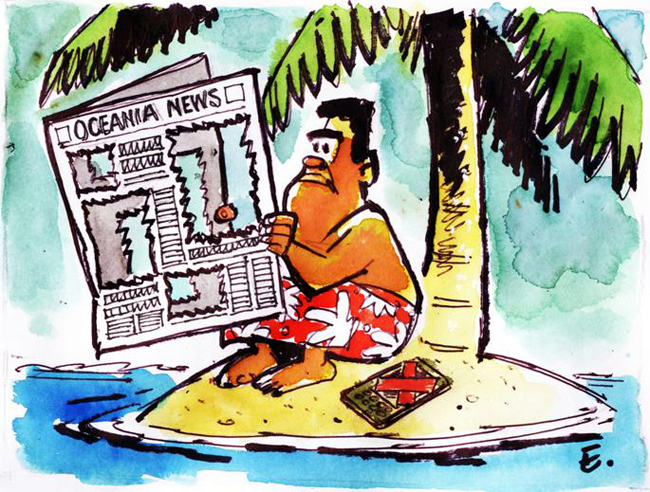 Support the overwhelming desire of Pacific peoples for a free and independent media.